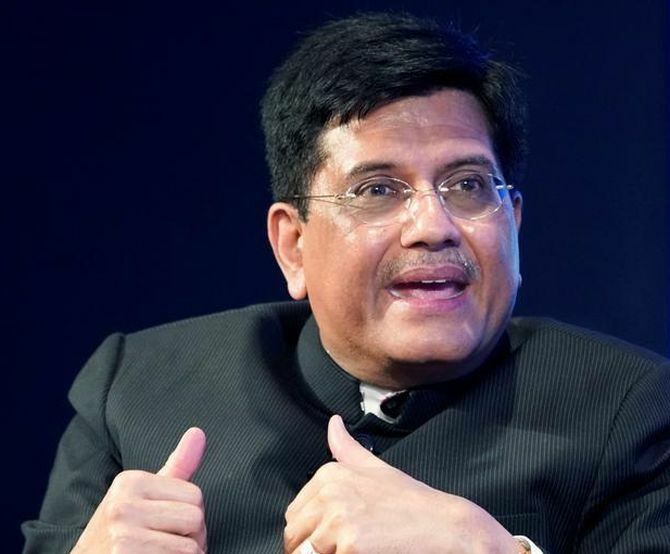 Union Finance Minister Piyush Goyal, who on February 1 presented his maiden and the NDA government’s last Budget, says it is not inflationary, expresses hope the disinvestment target will be met, and insists jobs are being created as “you don’t grow at 7.5 per cent without creating jobs”. There are fears in the market that this Budget is inflationary and fiscal expansionary? I don’t think it is inflationary at all, neither is it expansionary. We have stuck to all the fiscal consolidation numbers. Considering that we wanted to respect farmers’ contribution to ‘Make in India’ and making the nation food-secure, we added a scheme for farmers and provided full money for it. We have announced payments to farmers in three instalments, so that every time there is harvest, there is some spare cash in their hands to enable them pay electricity bills and buy some seeds and fertilisers. Inflation is quite low at 2.19 per cent in December, and it would be even lower this quarter. Isn’t the PM-Kisan scheme ‘too little, too late’ in the day? You don’t probably realise how important this is for small farmers. A sum of Rs 6,000 a year is very significant for a small farmer whose land holding is very small and whose produce is very small. All these calculations on a daily basis are extremely unfortunate and an insult to farmers. It is with respect that we are providing money for them and they have also received it with dignity -- not as an entitlement or a dole. You have to see what we have inherited from the Congress. The economy was shattered. We were in the fragile five economies. There were Rs 1.6 trillion of unpaid bills. There was high inflation, low growth, high fiscal deficit, and high current account deficit. If at that point in time, we had not set the economy in order and prepared the ground for strong fiscal fundamentals, today we would be having double-digit inflation, like it was in the Congress’s time. All of us would be spending 35-40 per cent more on our day-to-day expenses. Throughout this period, we have taken a series of measures for a better future for farmers. Please don’t belittle by questioning what has been given to farmers. The Centre will be relying on states for data on land holdings for implementing the scheme for farmers. Some states such as West Bengal and Madhya Pradesh are reluctant to join the scheme. Is there political opposition to the scheme? The farmers of West Bengal will realise that Prime Minister Narendra Modi wants to give them some honorarium which Mamata didi is not allowing. Farmers will give response to the state government. This approach is a petty approach. It shows that they don’t want to allow farmers to get what the Centre is giving, don’t want farmers to have a better future. They want the poor to live the life of misery. After all, the Centre has so many schemes and gives so much funds to all the states. On fiscal deficit numbers, your figures for revenues look very ambitious. For instance, the disinvestment number is pegged at Rs 80,000 crore, but only over Rs 30,000 crore has come in so far. Will you able to meet target? Data will show you 50-55 per cent of the disinvestment proceeds come in the last quarter. All the plans are very well laid out. We will meet the target. GST collections could not meet the Budget Estimate for the current financial year and you are now projecting an 18 per cent growth rate for FY20. Is it not ambitious? We have already given a true reflection of GST collections. We have done a lot of refunds. Even the old pending refunds were cleared this year. It is not 18 per cent growth next year literally, because we have paid refunds which have been accumulated. That has compressed this year’s revenue. We are collecting about Rs 97,000 crore a month on average this year from GST. In the year, this will give Rs 11.5 trillion, the Centre’s share would be about Rs 6 trillion. Next year, refunds will not be that much, because backlog has been cleared.